Our full response to the White House statement appears below. 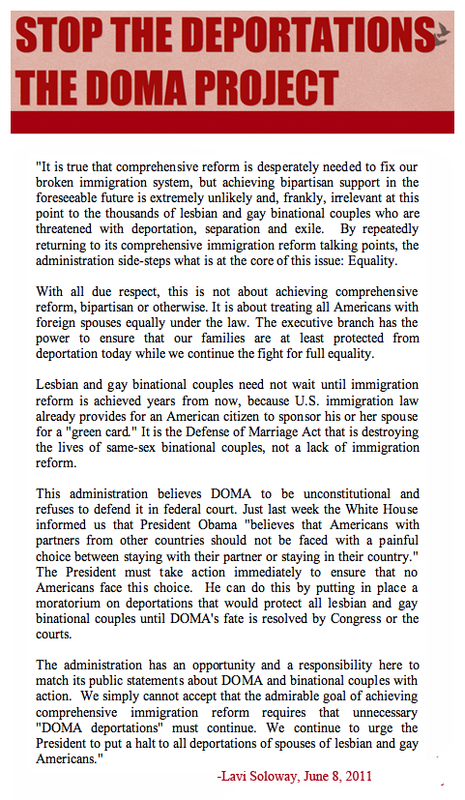 Watch clip of White House press briefing addressing DOMA deportations here. See complete Metro Weekly article by Chris Geidner here.